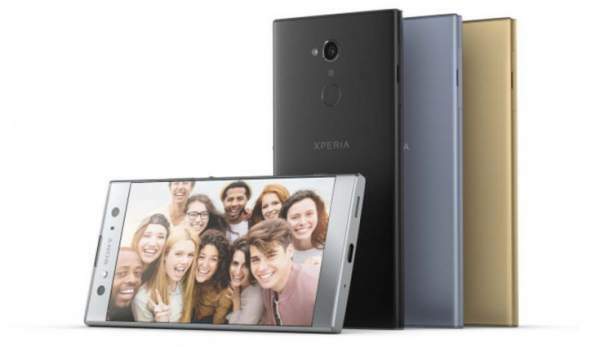 Sony Xperia XA2, XA2 Ultra: While tech giants are showing cutting edge competition in the field of super expensive smartphones, Sony decided to get out of the box and release a new mid-range smartphone offering some flagship features at a lower price. Sony has named it Xperia XA2! Xperia XA2 was released recently at CES 2018 and is up for buy with almost all the well-known e-retailers open for pre-orders as of now. So, the big question is, is it worth it? Here we are to help you answer that. Here in this article, we will discuss following aspects of the latest Sony smartphone. The phone was unveiled at CES 2018 and will be up for grabs at stores at least not until early February 2018. Till then, the phone will be available for pre-bookings online. XA2 and XA2 Ultra are priced at $350 (Rs. 22,260) and $450 (Rs. 28,620) respectively, while L2 will cost $250 (Rs. 15,900) in the US. All the three phones will be on sale from February 16, 2018, in the USA. XA2 will go on sale with Black, Blue, and Pink color options while XA2 Ultra will come with Silver, Black, Blue, and Gold colours. Xperia L2 will be coming in black, gold, and pink colours. This metal perimeter phone keeps up with the tried and tested trend of Sony which includes chunky bezels above and below the display and a relatively bland square shape. Still, the good news is that Sony has decided to scrape away some of the bezels from the top which gives the phone ecstatic look. The dimensions are 142 x 70 x 9.7mm. It has a rear-mounted fingerprint scanner and a larger battery which adds to its weight even though it helps to hype up the battery backup. It comes with a USB Type C on the bottom for both charging and data transfer while it gets a headphone jack on the top side of the phone. The best thing is that Sony boasts of providing full HD, 1080p resolution across 5.2 inches displays in such a low price range. This fact makes it a very attractive option if you are tight on budget. But if you still want a bigger screen, Xperia XA2 Ultra must be considered as it comes with 6 inches of display screen. The Sony Xperia XA2 is powered by a Snapdragon 630 chipset coupled with 3GB of RAM & 32GB internal memory, which keeps the Google Android Oreo OS ticking over nicely. It comes with a 3300 mAh battery which is considerably bigger and better than its predecessor. It will provide 20% more battery backup against XA1. Sony Xperia XA2 Ultra comes with 4GB RAM and 64 GB internal storage. Now comes the most important factor which surely tops the list of this selfie savvy generation of ours – the camera! Thanks to the inclusion of Qualcomm’s Snapdragon 630 chip, the camera will give a better picture quality even though it’s same as that of its predecessor XA1, 23MP. The chip onboard will help one record videos in 4K along with improving the camera’s low light capabilities. It is able to record 120 fps videos. The front 8MP camera equipped with wider selfie mode is enough to satisfy you pout modes!! The front side of Sony Xperia XA2 Ultra has dual 16MP selfie cameras capable of recording 4K videos. Stay tuned to TheReporterTimes for more Tech and phone news.